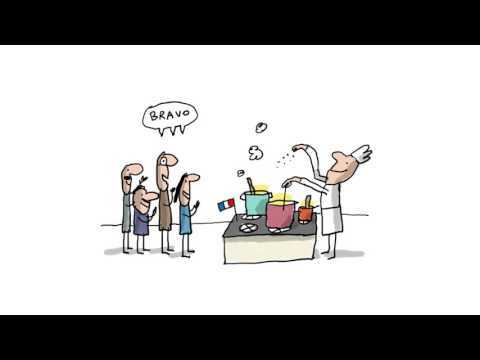 Pourquoi les Français sont-ils si fiers de leur cuisine ? Why are the French so proud of their cuisine? Find out in this cute animated video. Below, you'll find the transcript in our bilingual reader: click any French phrase for the English translation and related grammar lessons.